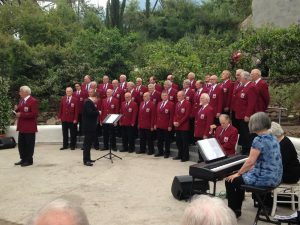 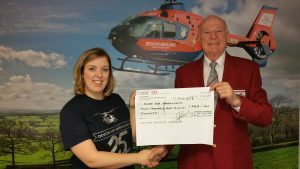 Our concert in Exeter on 5 August 2017 raised £360 for Devon Air Ambulance Trust. 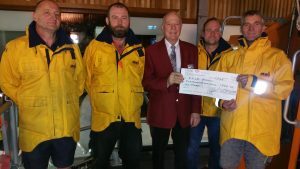 Our chairman Geoff Cound is pictured handing over a cheque for the proceeds. 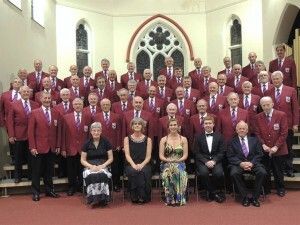 Many thanks again to all our supporters. 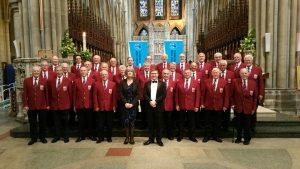 Following our successful concert in support of the RNLI on 14 October 2017 at Sidmouth, we were pleased to have handed over a cheque for £546.75. 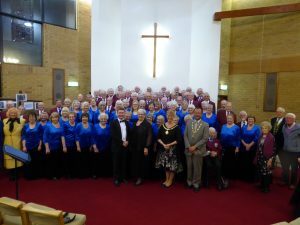 A big THANK YOU to everyone who supported the concert and a very worthy cause. 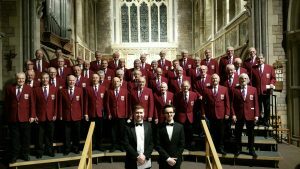 A great concert in Ottery St Mary with Ystrad Mynach MVC for the benefit of Ottery Help Scheme. 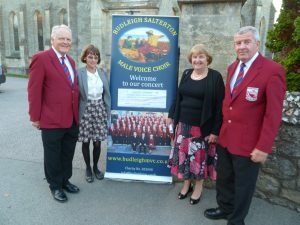 A full church, thanks to efforts of the Help Scheme and our own publicity and banners. 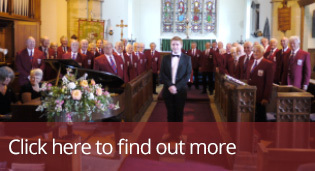 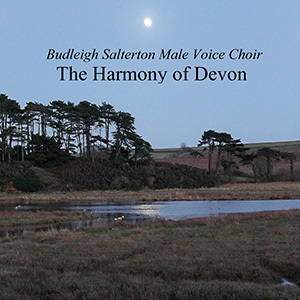 Good singing and two wonderful organ solos from our MD, Michael Graham Over £1400 raised for the charity!